Indian envoy to Iran believes that the bilateral relations between Tehran and New Delhi would improve substantially in the future. 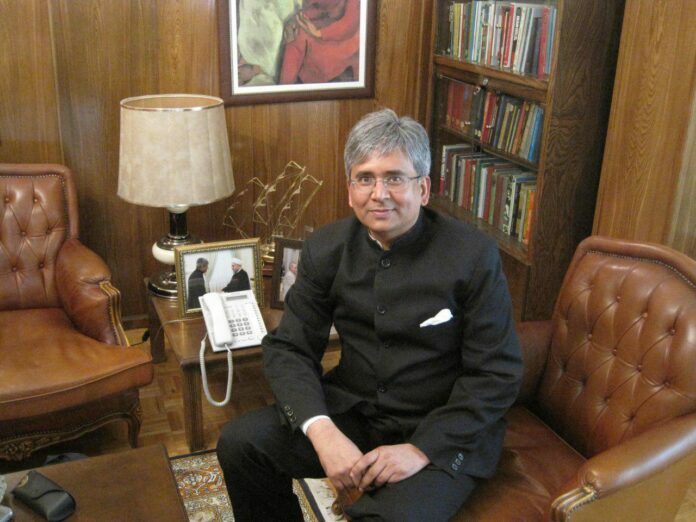 Indian Ambassador to Tehran Saurabh Kumar maintains that his country has strong ties with Iran, saying cooperation as well as economic and trade transactions between the two nations will definitely increase. According to a report by IFP, Kumar said Indian investors are keen to participate in Iranian petrochemical projects. The main axis of the growing economic relations between Iran and India is their present cooperation in the development of Chabahar Port, in southeast Iran, he added in a Farsi interview with ILNA. He further regretted that Iranian media recently labelled India an indebted state and accused it of lacking determination to make its overdue payments to Tehran. Expounding on the state of payments between the two sides, Kumar said India has entirely settled its oil debts to Iran. Earlier, due to the obstacles to foreign currency exchanges and a number of other problems occurring to payment channels, it had become almost impossible to make Iran payments in euro, Kumar recalled, adding, at present, the problem has been resolved. He also expressed dissatisfaction with the Indian rice losing its reputation in Iranian market. “Indian companies intend to prove the falseness and baselessness of these rumours by presenting official evidence and documents. Iran is not the sole export destination of the Indian rice. India exports 4 million tons of rice to 130 countries per annum,” he added.